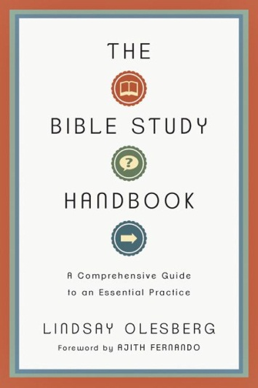 Each week I am devoting one post to working through “The Bible Study Handbook: A Comprehensive Guide to an Essential Practice” by Lindsay Olesberg. Lindsay is the Scripture manager for the Urbana Student Missions conference and is a sought after Bible teacher the world over. She also is a friend and mentor of yours truly. We are working through this book because we all need help learning how to study the Bible and be transformed by it. Lindsay is one of the best Bible teachers I know and this book will not disappoint. Read about the Introduction here. Chapters 1 through 5 are the “Foundations” Chapters. They are the things the rest of the book is built on. The reader can choose whatever order he or she wants to read them. Reality: Christian faith is shaped by the Bible. Another Reality: The Bible is a strange book. That leaves us with a tension doesn’t it? How are we to approach this strange book? How do we learn from it? How do we let it shape us and our communities? I could list a lot of great quotes from the book, but will choose instead to focus on her three main convictions. Facts Before Theories. Studying the Bible inductively allows us to observe the text and let it shape what we think the Bible is about. We can’t bring our theological systems or preconceptions into study and read them into the text. The facts of the text must shape the theories. Author Determines Meaning. Here I will use a quote: “It is a mistake to turn to a parallel passage in Luke or Matthew to answer a question about Mark rather than looking for the evidence Mark has provided to effectively communicate to his audience.” This is my biggest pet peeve in Bible Study! Thank you, Lindsay! Understanding requires Application: For Christians, to truly understand the Bible, we must apply it to our lives. It is never enough to just know what the text says. Which of these convictions connects with you the most? The Bible has the power to transform lives and transform culture. Why? Because it is one of the primary places God can encounter you. You will read a lot of great books in your life, but they do not demand nor provide the power for transformation in your life. Our ability to be transformed is affected by the condition of our hearts. Here, Olsberg brings out the parable of the sower. What kind of soil does your heart resemble? A road where nothing can grow? Rocky soil where no deep roots can form? Thorny soil where cares and distractions choke out any life the Word might have grown? Or good soil that receives the word gladly and yields an enormous crop? Channeling N.T. Wright (always a good move), Olsberg says the authority of the Bible is Christian shorthand for “the authority of God revealed through the Bible.” This is a really helpful clarification for several reasons. God wants to have authority in our lives through his Word so that we might be free. It seems like a contradiction, but the stuff in the Bible is there for our own growth, health, and life. Obedience to God is what brings us true freedom. What is one way have you experienced the centrality, power, and/or authority of the Bible? I’ve realized that Paul willingly submitted himself to the other apostles per what he wrote in Galatians. I’ve realized that I never have lived in any sort of submission to my fellow believers.